Many, many brands and types of shocks are available for generation 1 and 2 Toyota 4Runners. But be aware that each generation of 4Runner typically will require different shock configurations. Many, many brands and types of shocks are available for the 1st and 2nd generation Toyota 4Runners. But be aware that each Generation of 4Runner typically will require different shock configurations. You and any shock re-sellers you contact will need to know your trucks’s model year (obviously), and also engine type. Some will also ask you for your “series;” that is, N60 for the first generation (1984-1989), and N120 or N130 for the second generation (1989-1995). Be aware that the shock selection for 1st generation 4Runners will be more limited than for the 2nd generation models. For this article we’ll be looking at standard-height replacement shock absorbers for 4WD 4Runners, which with many shock manufacturers can accommodate a mild lift of up to 2”— if you’re thinking of a mild lift to your 4Runner, be sure to check this out before you buy. The model year chosen here is 1995. (Again, some manufacturers may not offer the listed shocks to fit earlier 1st generation 4Runners.) Also, the shocks illustrating this review were types that offered versions for both the front and rear end, as some shock models could only be found for either the front or rear, but not both. The basis for the shock brands listed is a 2007 poll conducted by YotaTech forums called “Favorite Shock Absorbers—price/performance.” Non-scientific, and possibly based more on opinion rather than actual experience, it is nonetheless a place to start. The participants were told to not vote for more than two, and a link to this survey is included below. Fifteen shock absorber companies were listed, with some notable brand names receiving no votes (such as Gabriel). Starting with the most votes working down, and not including any brand that received less than four votes, the five most popular shock brands with front and rear shocks available for a 1995 4Runner are listed here. Note that in this survey, Pro Comp and Tokico tied for fourth place. Fox received only three votes, Edlebrock only two, and KYB, Downey, Monroe, as well as Skyjacker each received one. Fabtech, Gabriel, and Trailermate were listed, but received no votes. Performance – These shocks are designed for daily driving, some hauling, and occasional off-road use. The clear winner in this performance review, Bilstein, is an international company that introduced the first mono tube gas pressure shock absorber in Germany in 1957. Commonly referred to as "Billies," Bilstein shocks cover a large range of vehicles, and for all sorts of applications. 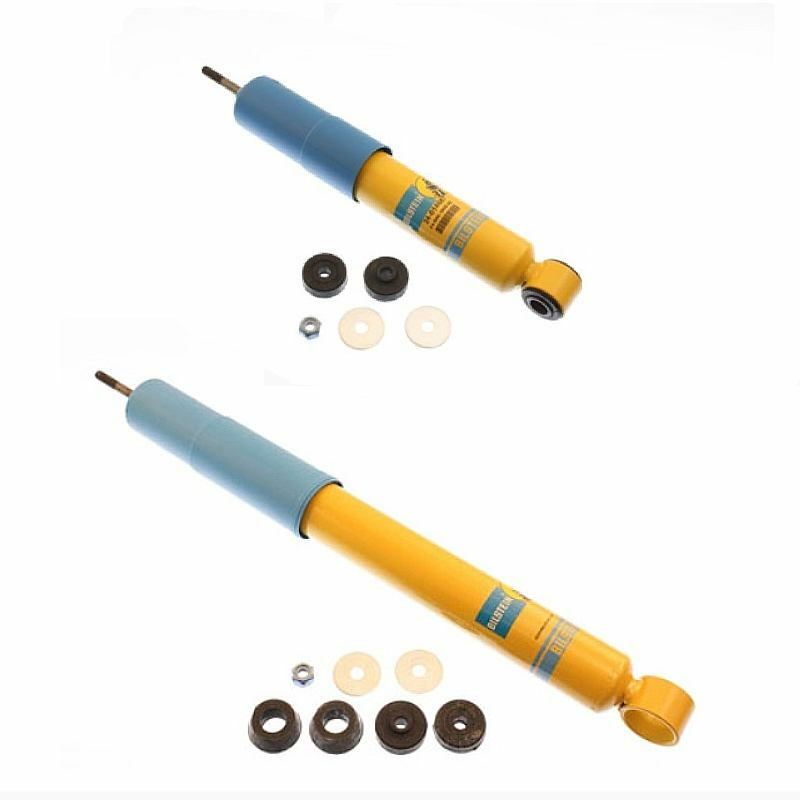 The B6 shock, also called the Bilstein 4600 Series, has an extruded metal body and contains 360 psi of gas pressure to help prevent aeration and fading. It can handle a suspension lift of zero to two inches. Recommended for those who want a performance-oriented street shock with the reputable Bilstein brand affixed. "After I switched to Bilsteins... they handled so much better, and I regained my confidence in coming down mountain highways here in Colorado." "Finally got rid of them [previous shocks] and went with the Billie HDs, and the difference was night and day." Performance – Engineered for both on and off-road drivability. A design resulting from Australia's unique driving conditions, OME engineers specialize in nothing but 4WD suspension components. This shock's twin tube design with mono tube-style main piston valving helps it feel like a mono tube design without the vulnerability, or higher price. It can handle a suspension lift of zero to 1.5 inches. Recommended for those who want a stiffer riding truck with less rolls and sharper inputs, offering superior feel when off-roading. "If you want comfort, then OME is the best bet." "Compared to my old set-up with OMEs, they (Pro Comp 9000s) are much stiffer." 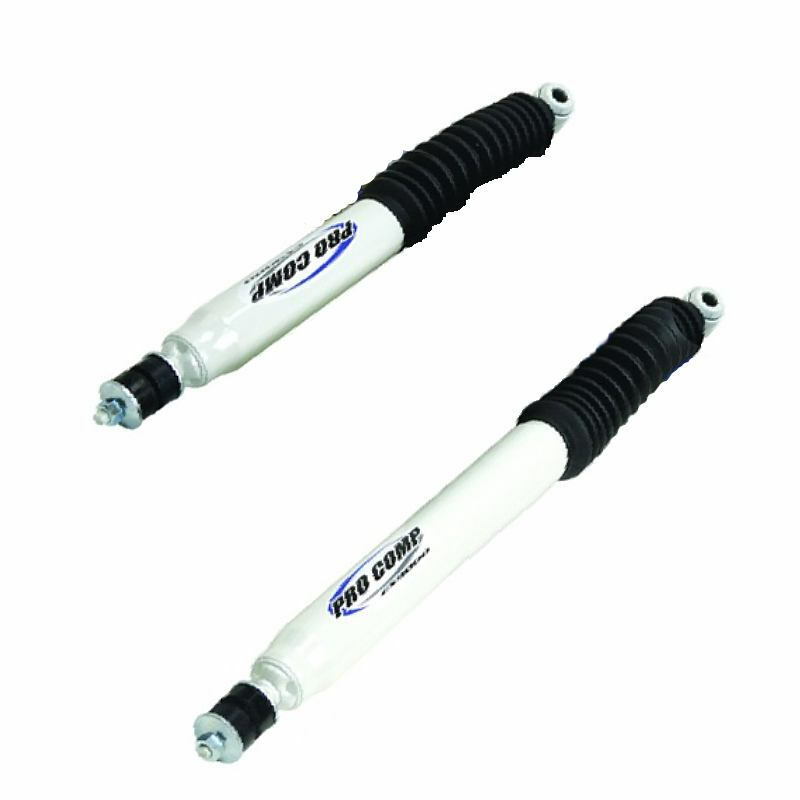 Performance – Rancho RS5000 shocks deliver a comfortable highway ride while being responsive during off-road driving. Rancho was the first to deliver shocks that included application-specific valving that's tuned to each unique model. These shocks were designed for no suspension lift. Recommended for those who are using all-terrain or other off-road tires, as the valving can accommodate their use. "On slow terrain, RS5000 are good shocks... on fast terrain, RS5000 are harsh and over dampened... tend to make the tires bounce." "Don't go with Rancho's unless you want a really stiff ride." Performance – Shocks deliver a comfortable highway ride while being responsive during off-road driving. With its twin tube design and ten-stage velocity-sensitive valving, the ES9000 is engineered for driving enthusiasts that demand optimum capacity for heavy loads as well as the most demanding driving conditions. It can also handle a suspension lift of zero up to 2.75 inches thanks to a patented collar design. Recommended for those looking for the budget alternative, but the unique shock valving control offered by Pro Comp. "I've used the Pro Comp 9000s and honestly didn't feel a difference between them and my Ranchos." "Love the Pro Comp ES9000s, if feels like a truck and not a 20 year old Caddy." 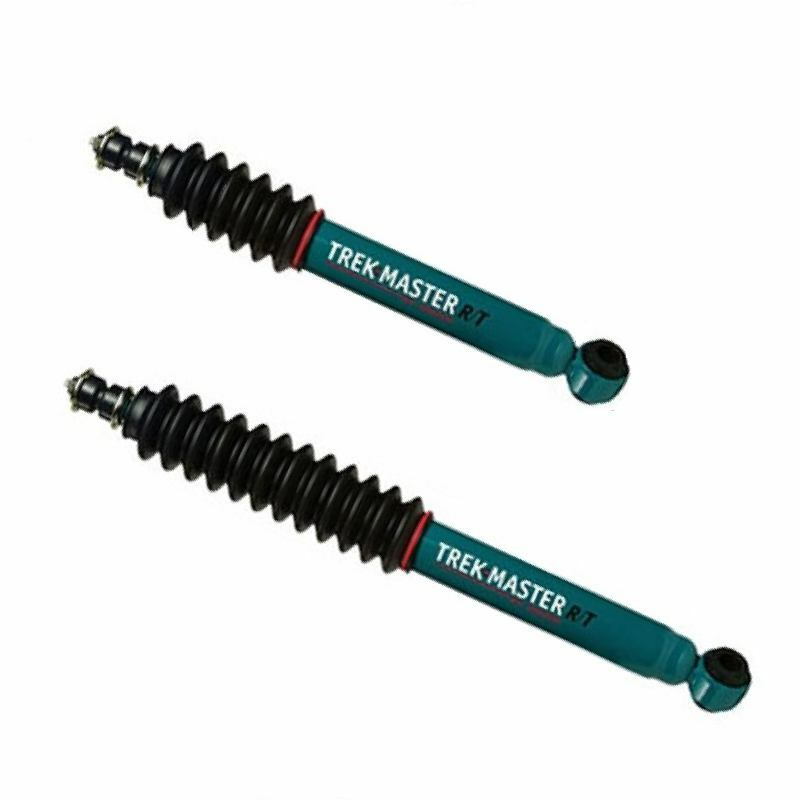 Performance – Tokico Trekmaster shocks are engineered to reduce body roll and improve steering response and cornering. Tokico of Japan developed the twin tube, low-pressure shock absorber. Tokoco Trekmaster shocks incorporate a four-stage compression cycle utilizing a multi-stage, variable-aperture valve system. Recommended for those looking for twin tube shocks, as twin tube designed shock absorbers are known for providing a stiffer ride. "...took off [Tokico Trekmaster shocks because they delivered] a super stiff and choppy ride on roads/freeway, and off-road." Shocks are the most important factor regarding ride quality, usually described as either a “stiff/rough” ride, or a “smooth” ride. Shocks operate by dampening the up and down motion of the suspension’s spring in a vehicle. All shocks work by forcing liquid through different sized holes or valves as they compress and/or extend. Factors that affect this dampening are the viscosity of the oil used, the pressure of the gas they contain, and the number of the valves involved in the transfer movement. Stage valving, such as “Ten Stage Valving” often referred to in marketing hype, are small flexible constrictors that help stage, or control, the flow of the fluid through the shock. 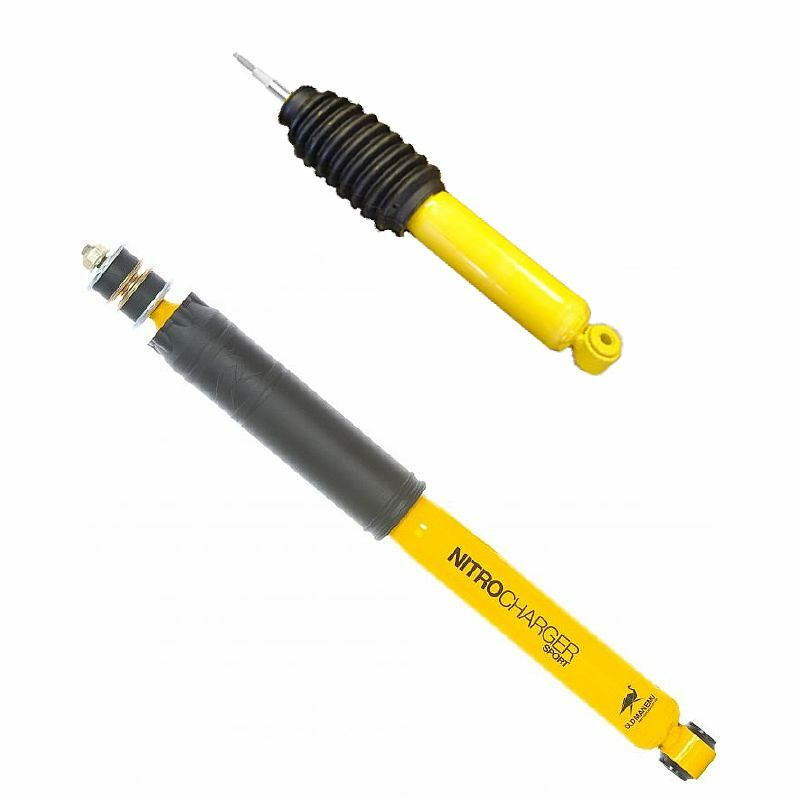 Shocks are generally either a twin tube design or mono tube design. 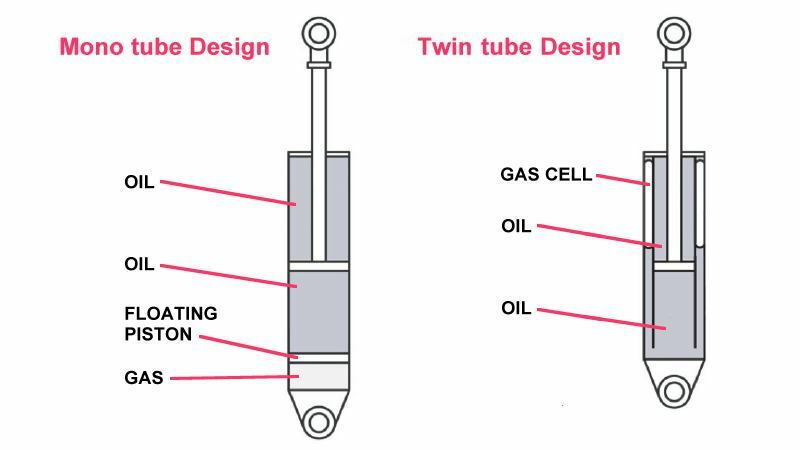 Most modern twin tube shocks are also gas-charged, or gas-cellular designs, meaning they incorporate a pressure-charge of an inert gas (nitrogen) in a flexible container added to the reserve tube. The addition of this nitrogen charge helps prevent the oil from “foaming” if it overheats from excessive movement. 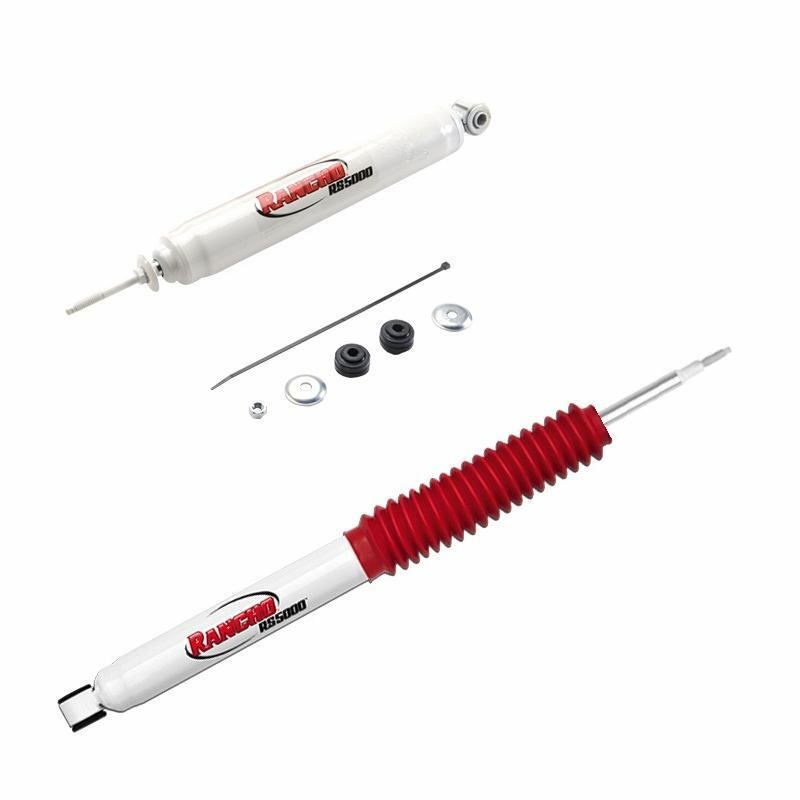 Twin tube, gas charged shocks comprise the majority of today’s OEM suspension systems. Mono tube designs have, as the name implies, only one tube, but use two pistons—a working piston and a floating piston positioned beneath it. They are harder to manufacture than twin tube designs, and typically more expensive. In mono tube shocks the working piston pushes down against the oil, and a floating piston beneath it further dampens the movement of the oil by pushing down against a nitrogen cell trapped under it. Mono tube designs called “gas charged” or using “high pressure gas” generally contain gas at a higher pressure than twin tube, gas cellular shocks. For this reason, these shocks will generally require a longer design than twin tube types, which also makes them ideally suitable for pickup trucks. Figure 1. Mono tube and twin tube design shock absorbers. As a starting point, if you were completely satisfied with the shocks that came on your 4Runner, you could always simply replace them. For a 1995 4WD V6 stock 4Runner, these shocks will cost around $28.86 apiece for the front, and $22.66 apiece for the rear, plus shipping. Bear these costs in mind when looking at the usually more expensive aftermarket brands. Again, the brand models described are available for all four wheels, and although there are aftermarket OEM replacement shocks available for less than the cost of factory shocks, there really isn’t much point in going backwards in ride quality, not forward. Obviously you will always be buying shocks in matching pairs. Also, be sure to check the return policy. Generally you can’t return shocks once you’ve installed them on a vehicle. Try to see if they’ll fit your vehicle before you bolt them down.